Basically, I got in the small business trap. Even though I wasn’t making something, I was replicating the success I had by doing more of it. I was hiring people by accident. My first employee was my housemate, which kind of tells you a lot about my hiring systems. I hired my accountant’s friend who was good with numbers but didn’t have any bookkeeping experience and she ended up working remotely as my financial controller—which is crazy. I hired one of the best realtors in London, thinking “Surely, I’ll just hire one of them. They’ve had all the training. They’ll be good out the box.” But I didn’t get the results I wanted because I didn’t put any effort into it. I didn’t have support for my employees, I didn’t give them days off. I didn’t give them the security of being an employee. They were all subcontractors or self-employed. I made an absolute mess of it. All of a sudden, the business was turning over a million pounds. There was nothing intentional about our growth at all. I wanted to be more grounded and really figure it out. And honestly, EMyth came to the rescue. I had a deep mistrust of coaching from the start. I was incredibly focused on the financials and wanted my business to be as profitable as it could be. EMyth seemed expensive, and deep down, I didn’t really think it was going to work. When you’ve never done coaching before you obviously have no idea the value you get back. But I went with it and started with two calls a month with my coach, David Foster. At first, I was getting in my own way. I wasn’t fully committed to it. It’s like a trust-fall situation with EMyth; you just have to fall backward because your EMyth Coach is going to catch you. Once I did that—and once I was being honest—I stopped worrying about the money. I was getting more enjoyment out of work, and more enjoyment for my team. I realized then that coaching was an investment for my business. I said, “This is the WAY. I’m seeing CHANGE. I want MORE!” And I increased my sessions with David to once every week. I went from being concerned about the price to doubling the cost so I could go deeper. Eighteen months ago we were asked if we would let a TV crew shoot a fly on the wall documentary on our company. Not wanting to turn down the free exposure, we agreed, the show aired last month and there were parts of the show that were very uncomfortable for me as a business owner, they didn’t reflect who I thought I was and what our business stood for. Sitting down with my team after that show the next morning was one of the hardest moments in my life. One of my employees who had been with me since the start said, “Adam the fact is a lot has changed since that show was shot, you are a different person now I actually look up to you. I remember you sat us down and told us the business was going to change. I didn’t believe you but 18 months later, we have three times the amount of staff, we’ve grown our revenue by 50%, and we’re doing a better job.” It was a really powerful moment for me because when you hear it from your employees, it means so much more. Despite that, I was driven to go deeper still and make sure that this business really was a reflection of me so I could feel comfortable here. I realized something about fundamental about values; if you don’t set them explicitly for your team you leave a hole that they will fill. So, keen to fill that hole, I did some deep personal self discovery and understanding of my values as a person and why they mean so much to me. I am about to release these values to the whole team, the exciting thing is that now I will be leading by business through values and I know that as long as we are all aligned there is no chance of of us getting it wrong again. It’s a great feeling. The amazing thing is that I wrote a three-year vision in June 2014, and we’re only a few months away from achieving that vision now. We’re a good 15 months ahead of the vision. I never thought it’d be possible. My new three-year vision is to grow the company five times larger than it is now. Before, when I was hiring, I wasn’t really committing. I was being nervous and not letting people in. Now it’s a completely opposite approach. I hire based on values and everyone knows my vision. We’ve got Position Agreements, weekly Employee Development Meetings, monthly team roundtables. We do social events and I take my employees out to lunch every Monday. By just being more invested, I’m getting better results. It sounds so obvious, but it wasn’t obvious at the time. I’ve realized in my business that all of our customers feel what we’re about the moment they interact with us. It’s a lot like EMyth; there’s a very authentic and real element to it all. You can’t fake it at EMyth, and David certainly doesn’t fake it. 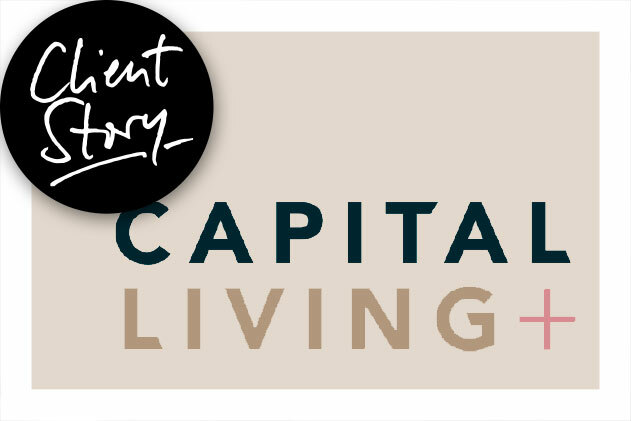 You have to be authentic, which is what we’re trying to do at Capital Living. We’re not there yet—we’re not perfect—but it's a great journey and I love it.